Being a successful designer requires a number of different skills and the ability to look at the world in a unique way. 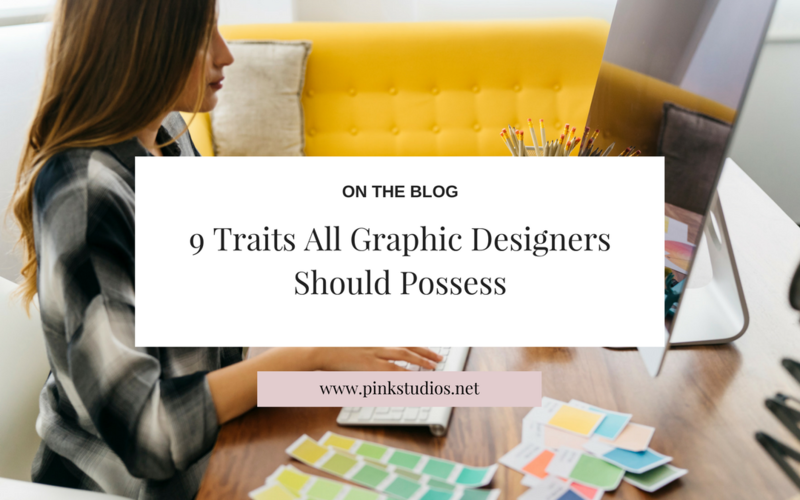 Even though people tend to have some stereotypes in regards to graphic designers, the truth is they are as varied as the people in any other profession. Some are outgoing extroverts, and others are shy introverts. They enjoy different types of music, books and hobbies. Graphic designers often have a number of projects going at one time for various clients. It is important that you can prioritize and multitask to get everything completed on deadline. One of the best ways to learn to multitask is to figure out how to get organized. Charts, Excel spreadsheets, or even a calendar of projects you’re working on at any given time can help. You can also utilize online tools, such as Basecamp or Slack to keep you and everyone on your team organized. This will ensure tasks get completed in a timely manner. Graphic design work requires some basic knowledge of how artistic elements come together, as well as basic drawing skills. However, graphic designers also need to develop a number of complementary skills to really make their work unique. For example, you’ll want to purchase an electronic pen and practice drawing directly to the computer. Other complementary skills you might want to develop include photography, marketing skills to promote your work or business, and even bookkeeping skills. Remember that running a freelance design business is like running any other business, and these are skills you’ll need. You can develop them by reading online blogs about marketing and bookkeeping. For photography skills, try to take a basic class from a local camera shop and then practice on your own. Graphic design has changed in the last 50-60 years as more and more digital tools have come on the scene. When you’re designing, you’ll run into situations where you can’t quite get the look you want from a digital tool. Therefore, having the ability to use both traditional and digital art tools creates a strong balance of skills to help you create unique and amazing designs like no one else. For example, do you know how to do a layout on paper, like newspapers used to do before the rise of Adobe? Think about some of the fonts you’ve seen lately. Have you noticed the trend toward hand-drawn fonts? These can create a unique look for a website or logo. Having the ability to draw and use both digital and traditional tools to get there will give your designs a truly unique flair. As a graphic designer, you’ll have to figure out what your clients want and then deliver it. One of the most frustrating parts of design work is creating a design only to realize it isn’t even close to what the client wanted. Some basic skills include asking questions and actively listening. If you’re running into issues with communication with clients, you can easily develop this skill. Coursera, for example, offers business communication skills courses, many from top universities. You should also check with your state’s Small Business Administration branch. It may offer courses to help small-business owners with simple skills such as communication. Graphic designers use typography often. The truly skilled ones know a unique typeface that matches the tone and style of a brand perfectly is worth its weight in gold. One trait that successful graphic designers share is the ability to choose the perfect type. This can even involve hand-lettering or creating your own fonts. The best way to learn this skill is to study the available fonts out there and what other designers are doing. You can learn more about typography by taking courses at Udemy, such as Design Your Own Fonts, Motion Typography From Scratch and Typography Fundamentals. Those who become truly great designers have a passion for the work they do. Instead of spending time watching television or browsing on social media, they are checking out the work of other designers, studying trends and practicing these elements in their own design work. The best way to develop your skills is to keep honing them. You should attend conferences in your field. Conferences for graphic designers and freelancers will offer workshops where you can learn new skills, as well as opportunities for networking with other people in your field. A conference can also give you the opportunity to set some new goals for yourself as a designer. The key is to choose a designer’s conference that matches your own career goals. Graphic design is definitely a creative endeavor. You must look at what is already out there and figure out a way to help your client present a unique but practical approach to potential customers. Creativity, however, is not finite. It is easy to get burned out when working day in and day out on projects that may not speak to your soul. You must take time to refill your creative well. Read a book such as Julia Cameron’s “The Artist’s Way” to help you unleash your creativity. No matter what you start off knowing and what you learn, the truth is that if you want to be an amazing designer, you must continue to learn new skills and try new things. Your learning should be an ongoing process, so the designer you are right now is a mere shadow of the designer you’ll be in five or 10 years. Keep learning, keep growing, keep designing. Before you know it, you’ll be one of the top design names in the industry. These nine traits are something most graphic designers have or develop over time. In addition to these skills, you’ll want to stay up-to-date on the software you use in your job and seek out new programs that will allow you to give your designs a new edge.